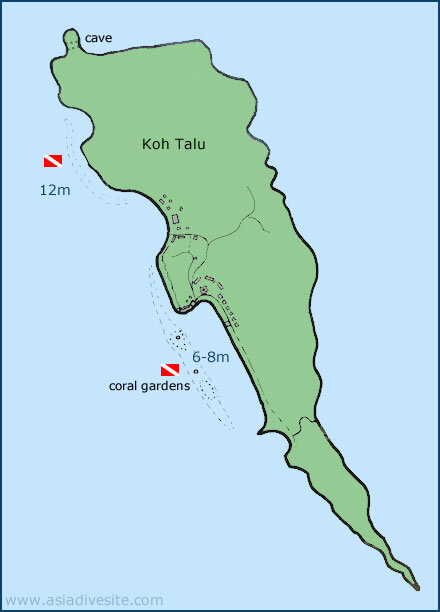 Koh Talu is the most popular dive spot in the area and lies just off the coast. With shallow fringing reef and coral gardens it homes a wide variety of marine fishes. Larger schools of snappers and fusiliers can be seen and the hard coral is in good condition and relatively unspoilt. 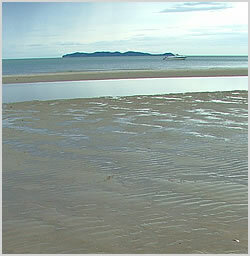 There is also a shallow here bay ideal for snorkellers where a sandy bottom is peppered with coral outcrops. Keep your eyes open for large rays that often frequent the area. You may come across a mask or two on the bottom due to the sheer volume of local snorkellers that Koh Talu gets.